Post Brexit, many of us have felt like letting out an angry cry of despair. Siôn Eirian has framed his despair with a proscenium arch and called it Yfory (Tomorrow). The drama takes place over one night in which the political fortunes of a nation are at stake. With the Labour party in crisis, Plaid Cymru has a chance to change the narrative of the past twenty years. Plaid’s leader, Gwyn Davies and his partner, Ellie, are at home, preparing a state of the nation speech that will cause a seismic shift in Welsh politics. What they can’t predict is what Macmillan famously feared – 'events, dear boy'. By morning, all their hopes and ambitions seem set to unravel. In the first ten minutes, Gwyn and Ellie deliver their manifesto to 'learn the lessons of Brexit' and break free from Labour, opening up the channels of communication with UKIP. Ellie tells us we must make politics personal, shift the emphasis from nationhood to neighbourhood and restore a narrative to people’s lives. While it’s all stirring stuff, we might have been at a public lecture rather than the theatre. All the energy of the production has been poured into its fast and furious dialogue and while this is utterly compelling, it dominates to such an extent that Yfory would work equally well as a radio play. The strongest moments are those in which we see the people behind the politics. Faced with the fees for her elderly mother’s nursing home, Ellie has to decide whether or not to sell the family farm and risk outsiders moving in to an area in which the Welsh language is already losing ground. It’s a bold and challenging statement: the fear of ‘outsiders’ is not just a UKIP issue. The greatest strength of the play is its strong cast and credible, complex characters. The shared history between Gwyn and his political rival, Kelvin, gives their relationship a depth that is often missing in political drama. While Kelvin’s methods are Machiavellian, his motives are just as patriotic as those of Gwyn. The star of the show is Caryl Morgan whose portrayal of Ellie is a heady mix of buoyant optimism and steely determination. However, the echoes of Lady Macbeth in her character are rather outdated for a modern audience. Ellie is clearly the brains of the operation yet she refuses to stand for office on the grounds of wanting 'a personal life', by which she means a baby. We have no sense from her of the conflict of that decision; no frustration or thwarted ambition. Instead, she seems content to be ‘the great woman behind the man’ and by portraying her in this way the writer does female politicians – and women generally – a great disservice. He misses an opportunity to address the real and pressing issue of gender inequality in politics. Yfory might not be perfect, but it’s well worth seeing. It is refreshing to see a play that tackles tough political topics head on in a challenging, uncompromising way. The story is gripping and relevant and there are some powerful, emotional performances from the cast. One play cannot be everything to everyone, which is why we need more voices, more stories and more plays like this one. 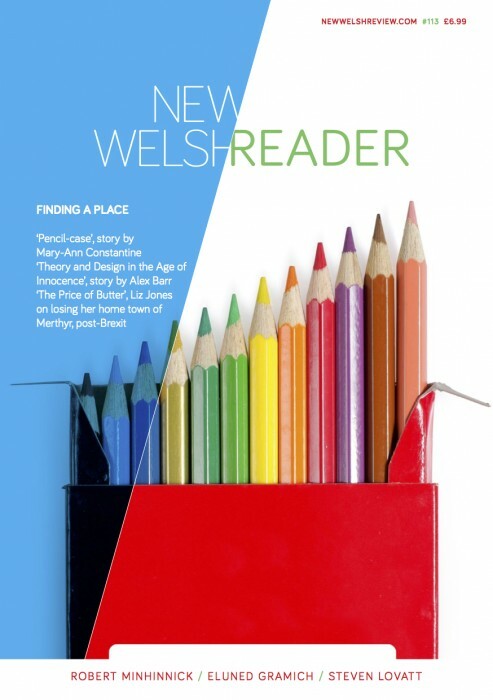 Sarah Reynolds is a PHD Creative Writing student at Aberystwyth University.